Got this great quote from a LinkedIN friend this morning. This made me think of the two questions you need to ask yourself if you want to achieve major change in your life. Change you interactive skills from average to outstanding? 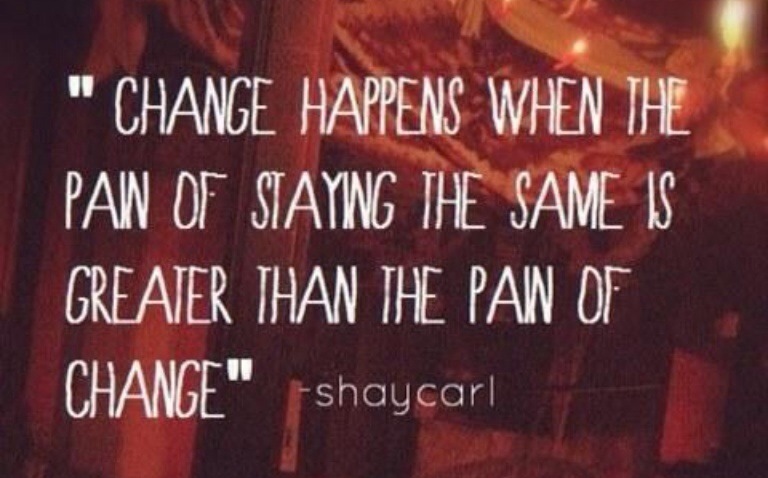 You will need to feel both the pain and the value of pursuing change strongly! 2. Is it worth changing? Psychology wise the answer is in the equation in the quote. The solution, outcomes and gains of the journey in front of you outweighs the initiating pain and the pain of the journey in front of you. You feel the true value of changing and take the first painful steps. Taking on behaviour change project, you will need persistence and a deep understanding of this equation – or else you will most likely fail.